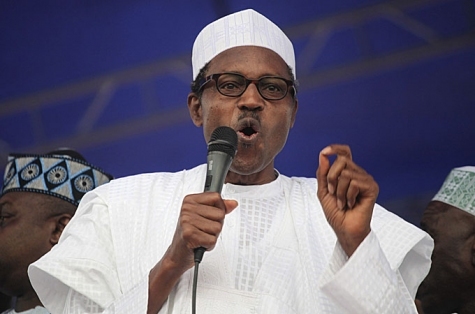 Former Head of State, and presidential candidate of the Congress for Progressive Change, CPC in the April 2011 elections, Major-General Muhammadu Buhari, has spoken out against the ruling Peoples Democratic Party. Buhari, who recently announced he would be recontesting in the 2015 presidential elections, delivered something of a prophecy of doom, warning that a revolution could soon take place in the country if the party did not become more sensitive to social justice. He went on to draw attention to the Igabi constituency in Kaduna state, where members of his party won, saying he wanted a situation where every local government and constituency in the country behaved like that one. “What I’m advocating is that for the local government election and 2015 general elections, God willing, every local government and constituency must behave like Igabi. Except if you don’t want to win or you want to remain as slaves in your own country, then you can go home and sleep. The PDP, never a party to sit back and accept what they view as a jab, retorted, describing Buhari as “despot with aversion for democratic governance”, and saying his statement was the result of frustration.